Bennett started his career in Okinawa, Japan, as a software engineer at Bank of America, where he integrated several core banking systems using specialized communications protocols. In 1987, he was named Assistant Vice President, Regional Banks & Item Processing. 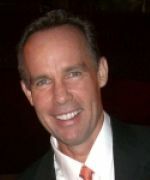 In 1989, Bennett joined Gateway Data Sciences, Inc., a startup in Tempe, Arizona, as the System Engineering Services Director. In 1992, he became the company's Engineering/Technical Executive and developed the first IP-based wireless receiving solution for execution and store receiving. After the company's IPO in 1996, Bennett founded technology company Cyclone Commerce, Inc., where he served as the CTO and pioneered business-to-business collaborations and partner management, and authored or co-authored several standards and patents for B2B technologies. ​In 2006, Axway acquired Cyclone Commerce, Inc. Bennett was named CTO and joined the board of Axway NA. In 2009, he joined the MIT Enterprise Forum Phoenix Board to support business development in Arizona. In 2011, Bennett assisted Axway in their Initial Public Offering. In 2011, Bennett joined Dr. Patrick Soon-Shiong's NantWorks and was named the SVP of Integration.